Tomorrow is a Fed Day. As I have discussed many times, Fed Days generally carry an upside tendency. But this tendency is greatly impacted by certain variables. A large collection of these variables may be found here on the blog under the “Fed Day”label. And many more may be found in the “Quantifiable Edges Guide to Fed Days”. One variable I showed about a year ago was whether the market was already at an intermediate-term high. There is a decent chance the market closes at a new high today so I’ve decided to update that study. 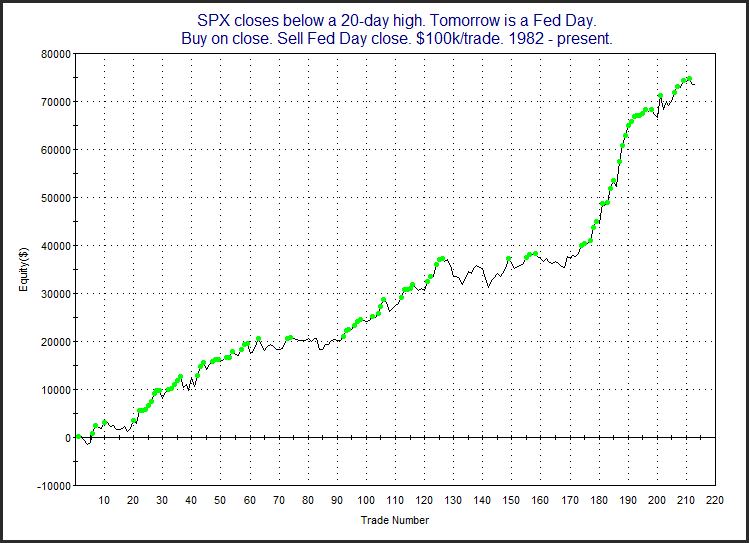 First, let’s take a look at SPX performance on Fed Days when the SPX has NOT closed at a 20-day high the day before. That’s nearly 32 years of bullishness. 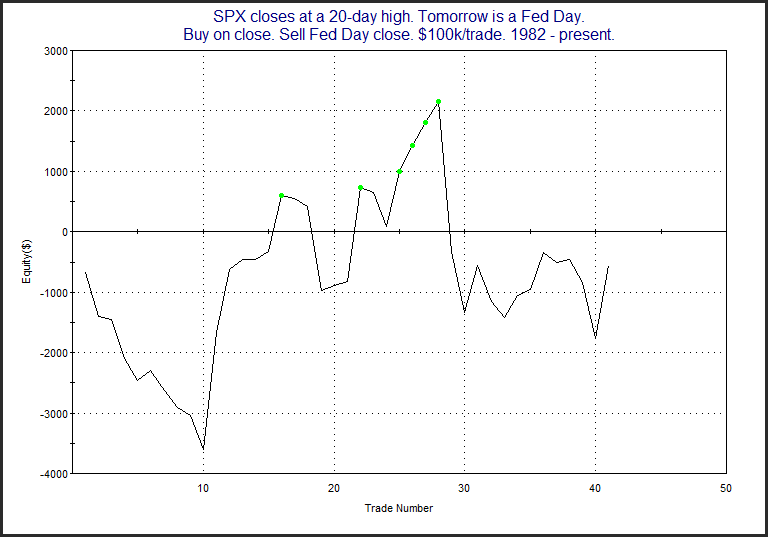 But now let’s see performance at times when the SPX did close at a 20-day high the day before. No consistency and no pronounced edge in this sample of 41 instances. 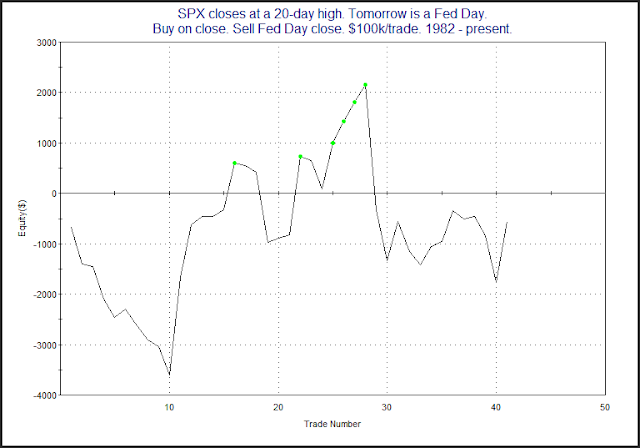 Traders looking to play for a short-term Fed Day bump should perhaps be hoping the SPX does not close at a new high today. Also, for related research with regards to the overnight, be sure to check out this post at OvernightEdges.